Seaproof Solutions CPS being installed on the world’s largest offshore windfarm, Hornsea Project One. Photograph courtesy of DEEPOCEAN. Balmoral’s new Norwegian subsidiary will work with renewables firm Orsted on the design of cable protection systems (CPS) for offshore wind farms. Seaproof Solutions has signed a six-year pact with the Danish operator to research and develop CPS designs together. Founded in 1989, Seaproof Solutions has attained “market leading position” in the offshore wind sector, which CEO Henrik Bang-Andreasen said was “pivotal” in securing the agreement. Balmoral Offshore Engineering acquired the Bergen-based company earlier this year in a bid to strengthen its offshore capabilities. Fraser Milne, engineering and projects director at Aberdeen-based Balmoral, added: “We are delighted with the synergies between the two organisations and the improvements introduced to Seaproof’s processes and procedures. 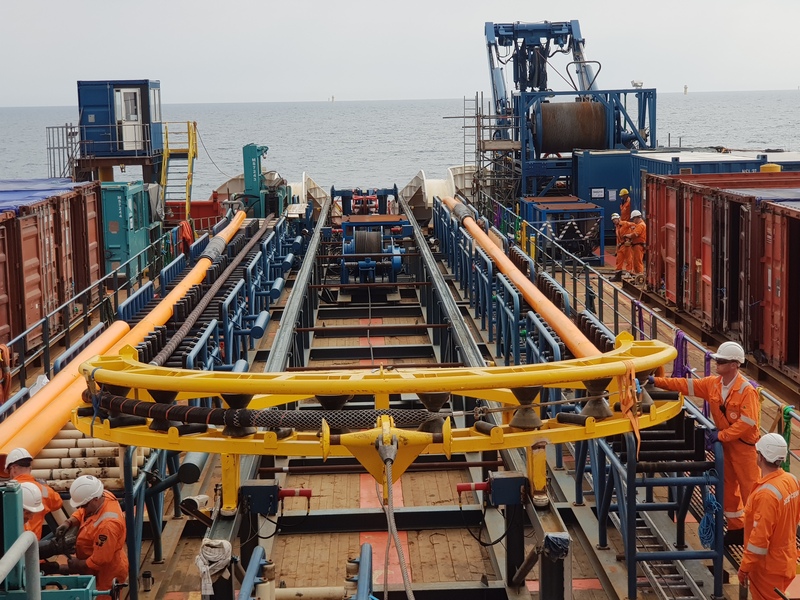 “Seaproof’s capabilities are recognised across the offshore wind sector through their impressive track record of more than 1500 successful cable protection system installations, while Balmoral’s R&D and innovation capability is renowned in the offshore energy sector.